MIAMI, FL — Latest NBA scores and selected recaps from the games that were played on Wednesday night, March 22. OKLAHOMA CITY — At the Chesapeake Energy Arena in Oklahoma City, Russell Westbrook posted 18 points, 11 rebounds and 14 assists to record his 35th triple-double of the season for the Thunder in the comfortable victory. 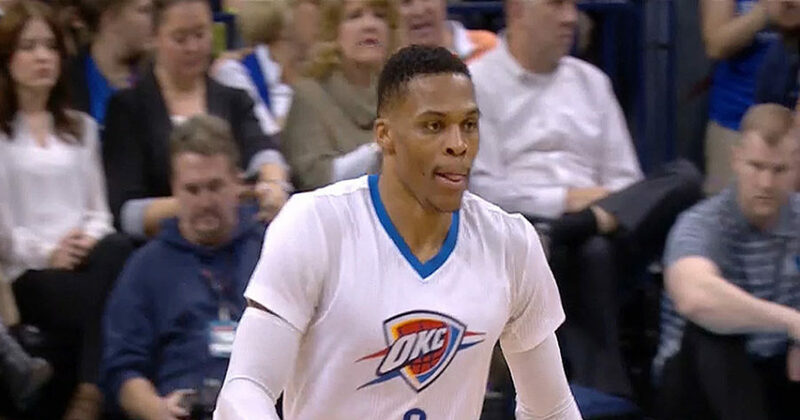 Westbrook, who also blocked two shots, shot a perfect 6-for-6 from the field and hit all six of his free throws. Enes Kanter, meanwhile, led the way in scoring for Oklahoma City (41-30) when posting his 17th double-double of the season with 24 points and 11 rebounds. Victor Oladipo added 18 points and Doug McDermott chipped in with 13 points off the bench for the Thunder, who won six of the last seven games and rebounded from the one-sided 111-95 defeat to the Warriors in the last outing. Nik Stauskas made five 3-pointers and scored 20 points for the 76ers. Shawn Long added 13 points off the bench as well, while Robert Covington and Dario Saric each scored 12 points for Philadelphia (26-45), which lost two in a row and three of the last five games. DENVER — At the Pepsi Center, Gary Harris scored 21 points and Will Barton added 20 off the bench and the Denver Nuggets beat the Cleveland Cavaliers 126-113 in the NBA on Wednesday. Wilson Chandler finished with 18 points in his return from an injury, Kenneth Faried ended with 17 and Jamal Murray scored 15 off the bench for the Nuggets (34-37), who rebounded from back-to-back defeats to the Houston Rockets. Denver remains eighth in the Western Conference Standings. Kyrie Irving made four 3-pointers in scoring 33 points to lead the way for the Cavaliers, while Deron Williams shot 8-of-10 from the floor to add 19 points off the bench. LeBron James finished with 18 points for Cleveland (46-24), which dropped two of its last three games. The Cavs, who have already clinched a playoffs spot, remain top of the Eastern Conference Standings, but only slightly ahead of the also playoff-bound Boston Celtics.